29/08/15. Shaqlawa, Iraq. 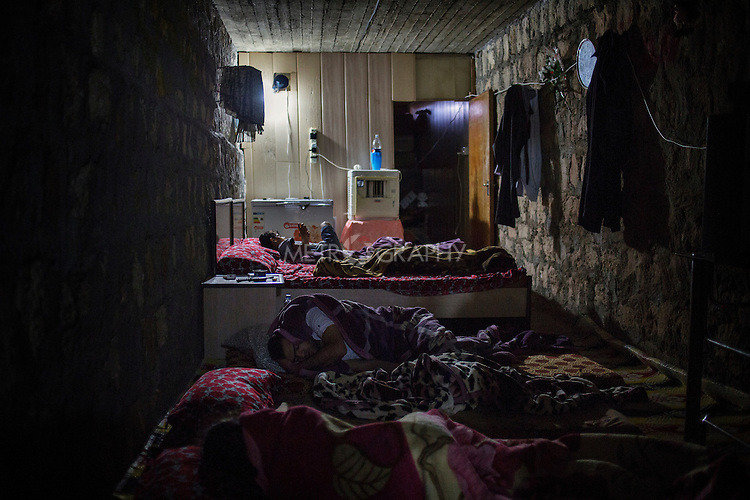 -- The children of Sabah, 48, from Falluja, sleep inside a windowless room, in the basement of a residential complex. The complex was bought by a rich man from Falluja at the end of 2013. The man is now renting out the 16 apartments as well as the basement to displaced families for 250 usd each.